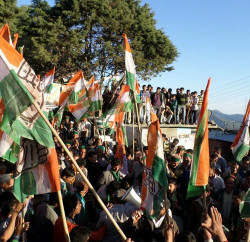 Shimla: Himachal Pradesh Congress has welcomed minimum income guarantee programme for poor and termed it historic and will ensure minimum income to poorest of poor. 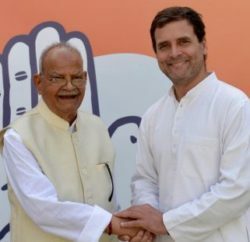 Rajneesh Kimta, General Secretary Himachal Congress, in a press conference today, stated AICC President Rahul Gandhij has promised minimum income guarantee programme for every poor Indian citizen if Congress Government comes to power in Lok Sabha Elections 2019. He termed minimum income guarantee as first ever unique programme to be adopted by any government anywhere in this world ever. Blaming BJP for misusing government machinery for party programs, Rajneesh Kimta cautioned to submit memorandum to governor. He claimed that the BJP had misused Government machinery to make Amit Shah’s Himachal Tour Programme a success. Congress leader also raised objection on the term ‘Panna Pramukh’ and asked BJP leader to explain that a particular page of voter list has 25 to 30 names which may belong to any party so how can BJP appoint one among them as leader of the Panna. Rajneesh Kimta also accused the BJP Government for failing on all fronts. He claimed that after the snowfall there is no arrangement of traffic and long ques on Kufri Shimla road is a live example of its failure. 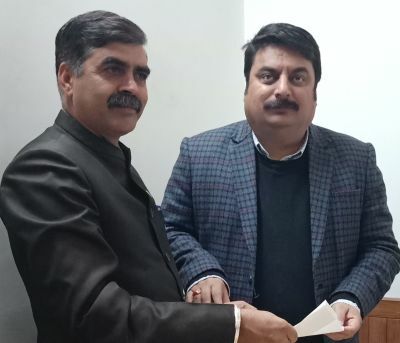 He stated that government has failed to ensure proper electricity in most part of the state and also raised concern of another appeal like government had issued during the summer when Shimla city had faced worst water crises, if another heavy snowfall happened in coming week.